GetUp members have been campaigning against Adani's Abbot Point coal port and Carmichael mega mines for years now. We all know the damage that Abbot Point will cause to the Reef through dredging and increased shipping, and the terrible impacts on global warming that the Carmichael mine will cause through its massive carbon emissions. 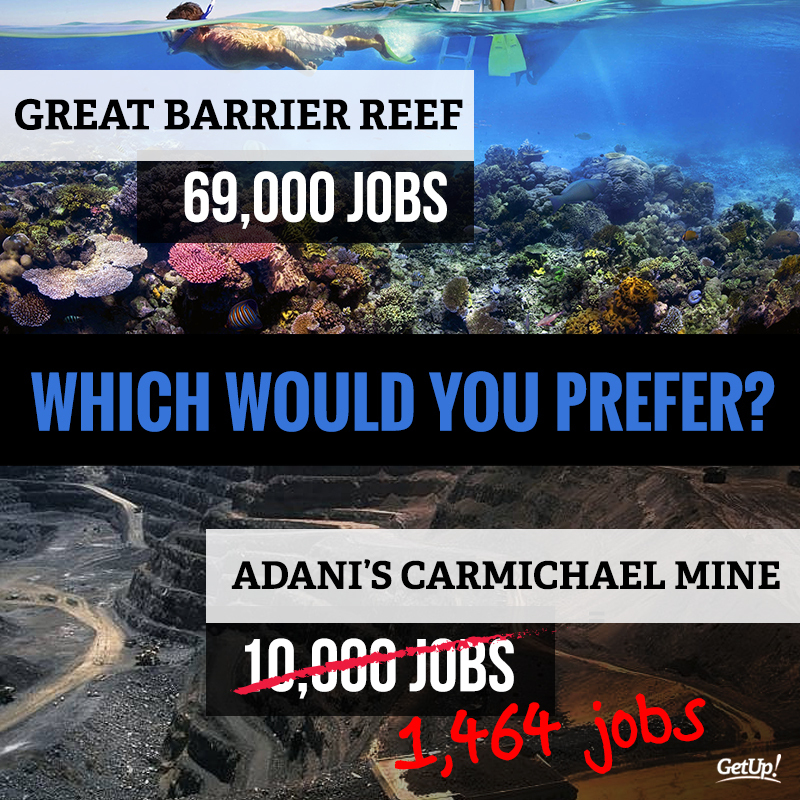 The Government and mining lobbyists have had just one counter-argument as to why Adani's risky projects should be allowed to go ahead – jobs. Well now Adani's own economics expert has revealed in court that the Carmichael mine will actually create only 1,464 jobs, just 14% of Adani's public claims. Adani have also exaggerated the royalties from the mine by a cool $14 billion. The argument that Adani's project will be good for the Queensland economy just doesn't add up. It's time the Queensland Government rejected the Carmichael mine and Abbot Point completely. It's a disaster for the environment, the climate, and the economy. Please contact your Labor MP, tell them why you're opposed to Carmichael and Abbot Point, and urge them to cancel both of these dangerous projects.